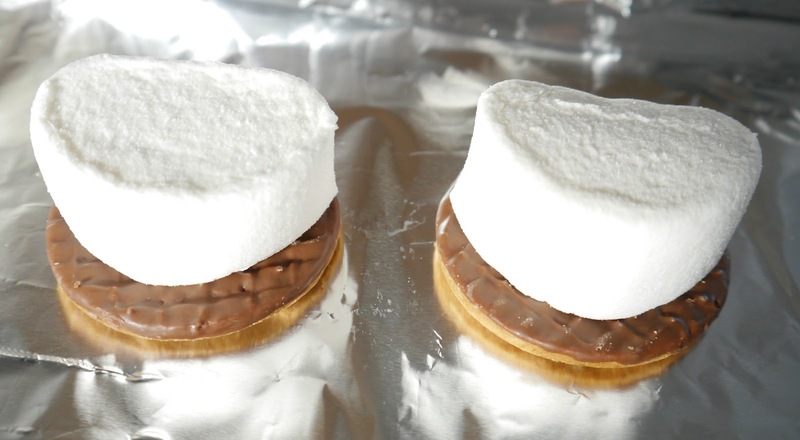 After growing up watching countless American films where kids are toasting marshmallows over a campfire and making s'mores I've always wanted to try them myself but let's face it how often do you have a campfire and where do you buy Graham crackers? So I decided to have a go at making them UK style and I think they turned out pretty damn good, they're super quick and simple to make, you don't need a campfire and you use good old chocolate Digestives instead of Graham crackers. 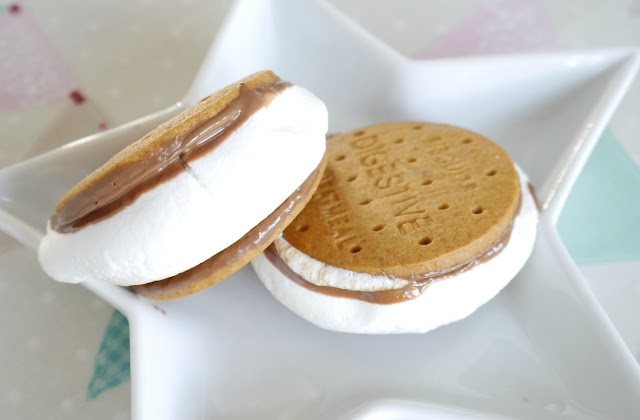 The perfect marshmallows for making s'mores are the Mega Marshmallows, they're extra tasty, extra fluffy and extra large plus they contain 0% fat and only 84kcal per serving. So get your ingredients together and turn on your grill and you're ready to go. 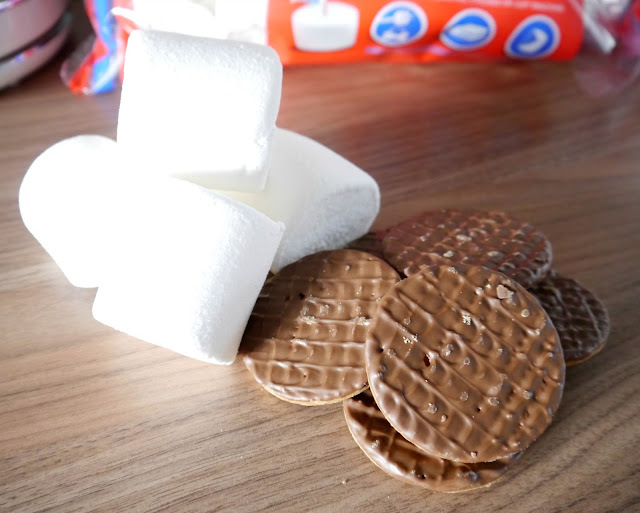 Place the chocolate Digestives chocolate side up on your grill tray and then cut the Mega Marshmallows in half and place on top. Pop them under the grill for a couple of minutes, they toast really quickly so you need to keep a close eye on them and when they're nicely browned they're done. 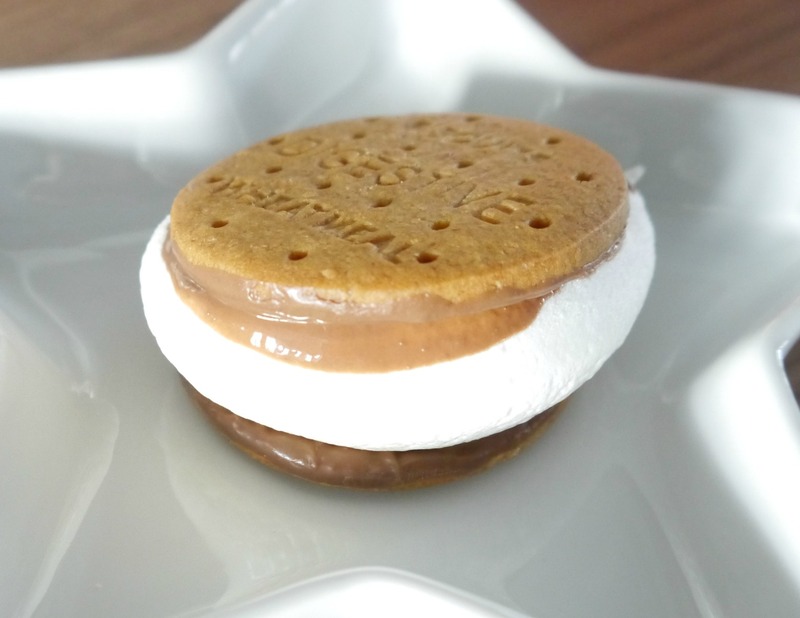 Grab another chocolate Digestive and place it chocolate side down on top of the marshmallow and you're done, it's as easy as that. They're really yummy and a great treat for kids with a hot chocolate on a cold winters day, FYI the Mega Marshmallows are also great to pop in your hot chocolate too. Let me know what you think if you give this a try. I love home decor and have been having a great time planning out and decorating our new home, it's so nice to start with a complete blank canvas and be able to put our own touch on every room without having to put up with other peoples decor ideas that are not to our taste. 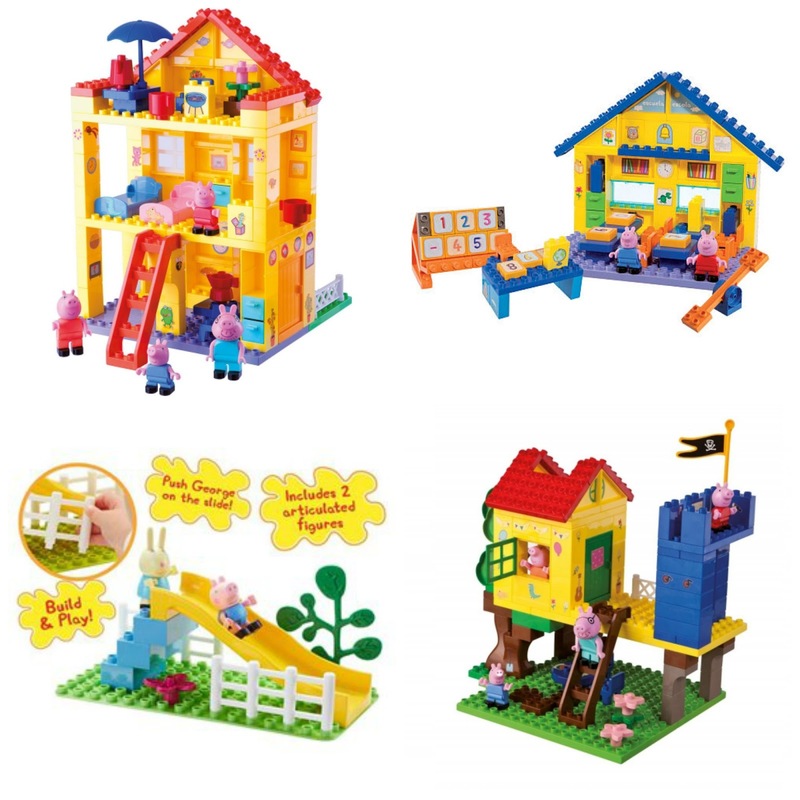 Most of the downstairs of our house is done, well the main living areas are anyway so I'm starting to think about upstairs now and in particular the kids bedrooms. Before I do any decorating I like to plan out the whole room, this helps me to visualise the finished room and make sure everything goes together nicely. 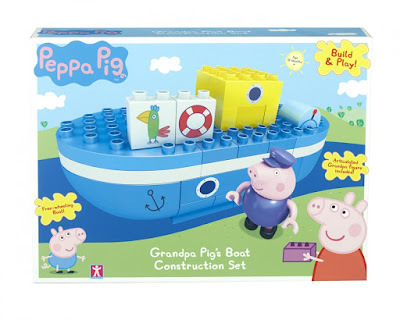 So I start with a colour scheme in mind or a theme and then I usually search the internet for kids bedroom ideas, I wish I was creative enough to come up with my own design ideas but unfortunately I'm not so I need inspiration and lots of it. A brilliant site that I use quite often is homify, they have thousands of gorgeous home interior ideas for every room in the house along with lots of great advice, tips and tricks to help you achieve your home decor goals. 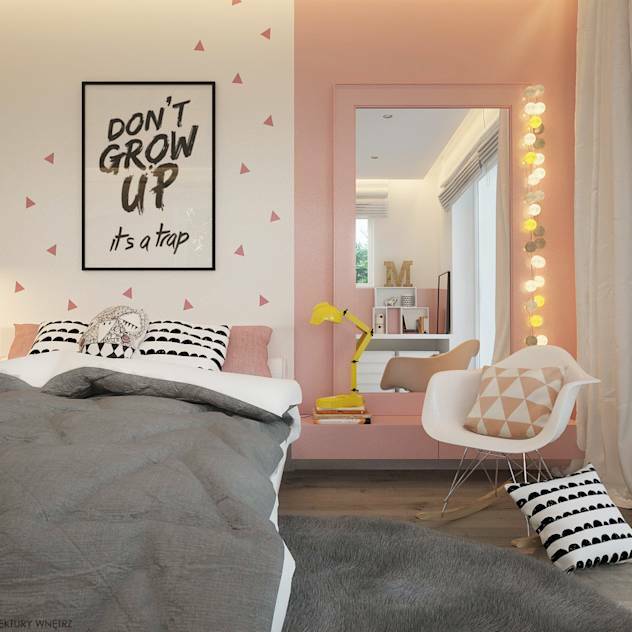 I love the mint and grey room for Riley but I'd replace the pink with yellow and I really like the pink, black and white idea for Summer's room as it's girly but not too much like a baby's room, it would translate really well as she grew up. Once I've chosen all of the elements of the room and I'm completely happy with everything I can then feel confident enough to purchase everything I need and make a start without having to worry if everything is going to look ok together or if I'm going to like the finished room. I find this method works really well for me, sometimes it can take me a while to find everything I would like for a room which can mean I'm planning it for a few months but it does mean that I'm always really happy with the room when I'm finished and I'm not wishing I'd done something else. Also I have been known to completely change my mind on the style, theme or colour scheme of a room halfway through so if I'm planning it out it's easy to change everything because I haven't rushed in and started the decorating before everything else is chosen. Hope these tips help, if you have any questions leave me a comment and I'll be sure to answer. 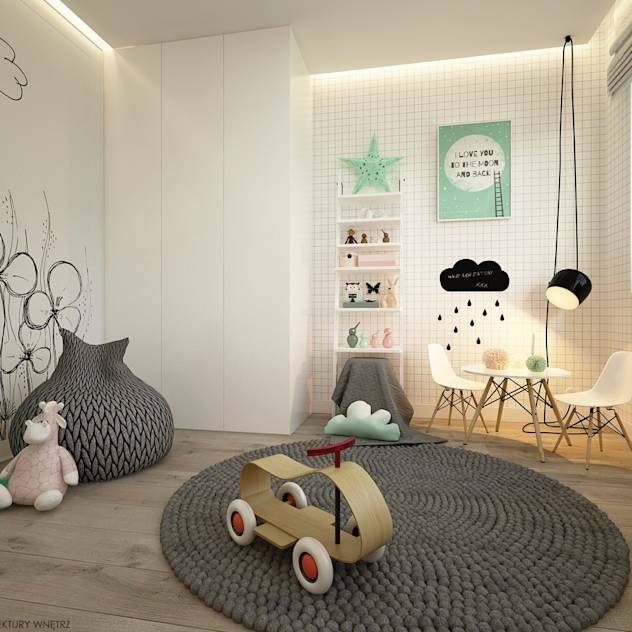 This post is in collaboration with homify.